If it’s time to redecorate some of the rooms in your house, and you simply have no money to afford this much-needed step, it’s time to take a look at some items you might already have laying around the house with which you can create some shockingly attractive new decorations. You’d be surprised by how much you can do with items you might previously have thought of as junk, and just how easy it is to create the options we’ve presented here on our list. 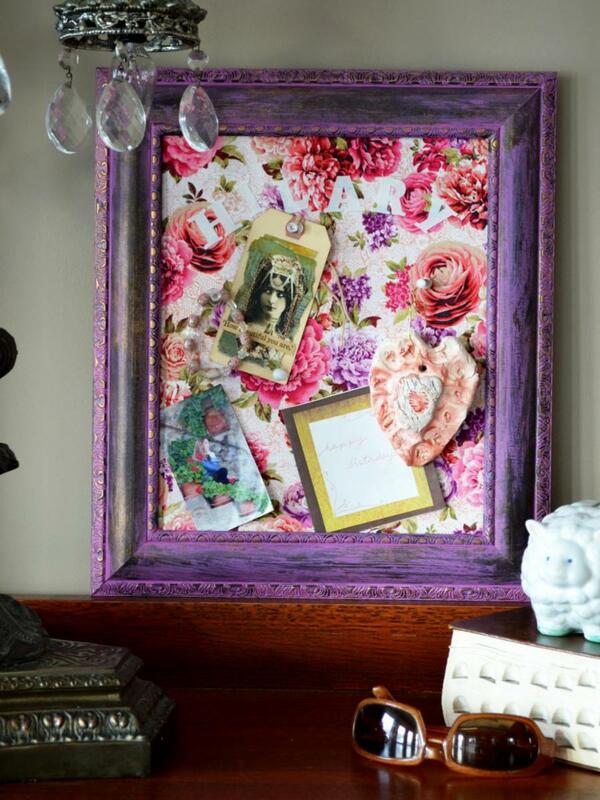 So, when decorating on a dime, why not use some of these unique ideas to spare your wallet and have a little fun upcycling? 7. 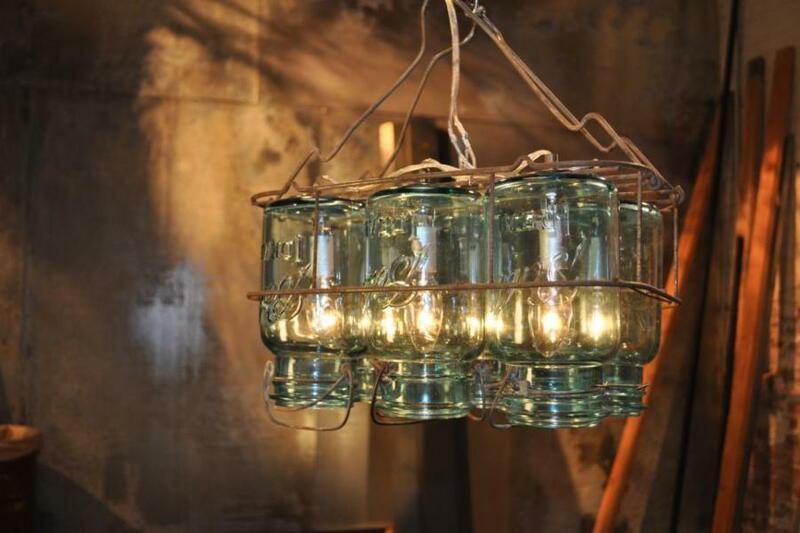 Decorate Your Room With A Mason Jar Chandelier. Do you have a collection of Mason Jars laying around the house? If so, you can capitalize on their unique, antique look by combining them with some glue and some twine to piece together a chandelier complete with votive candles. This chandelier will add a unique, old-style feel to any room. If you have a useless window in your house or simply want one to decorate, all you need is three different mediums to create this innovative look. 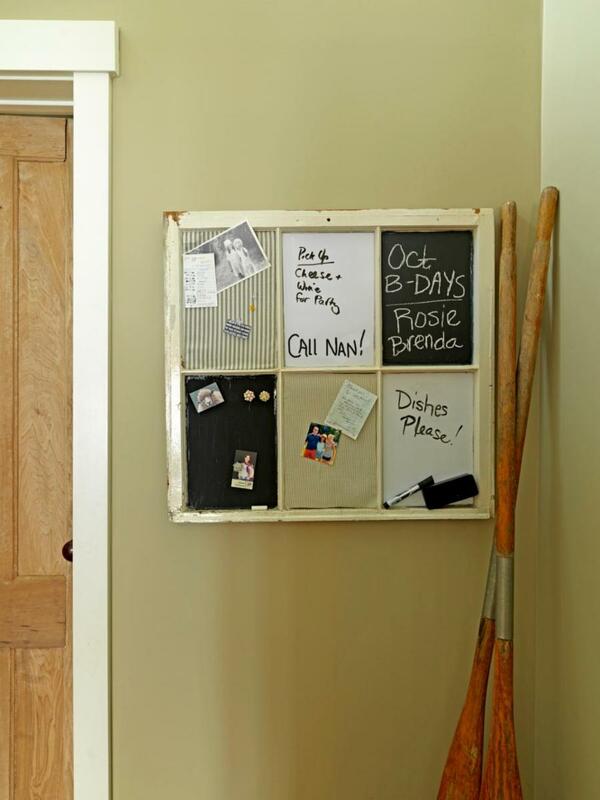 Two of the panes in this picture are painted with chalk paint, two have a cut dry-erase board placed in them, and the final two include cork-covered fabric. Of course, this idea can also be applied to windows with a different number of panes as well. Some people have old license plates lying around or collected them throughout the years. 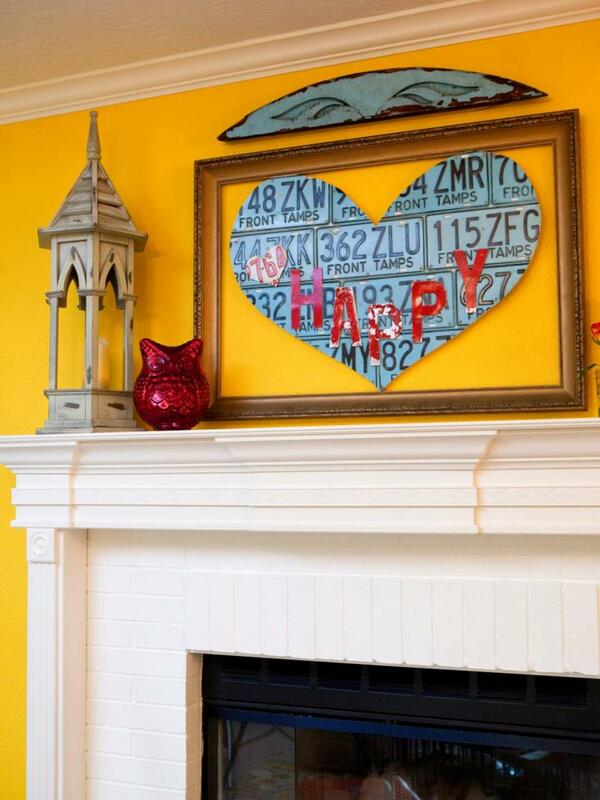 One great idea for a framed decoration is to get those license plates together as a collage and then cut them into the shape of a heart. You can add a message to the piece of art if you wish, and then easily decorate your wall. If you own a bottle cutter, there is a lot you can do with it that might surprise you. For example, you can make wine bottle lights with three empty wine bottles you have, and then use the bottle cutter to cut them just below the neck. 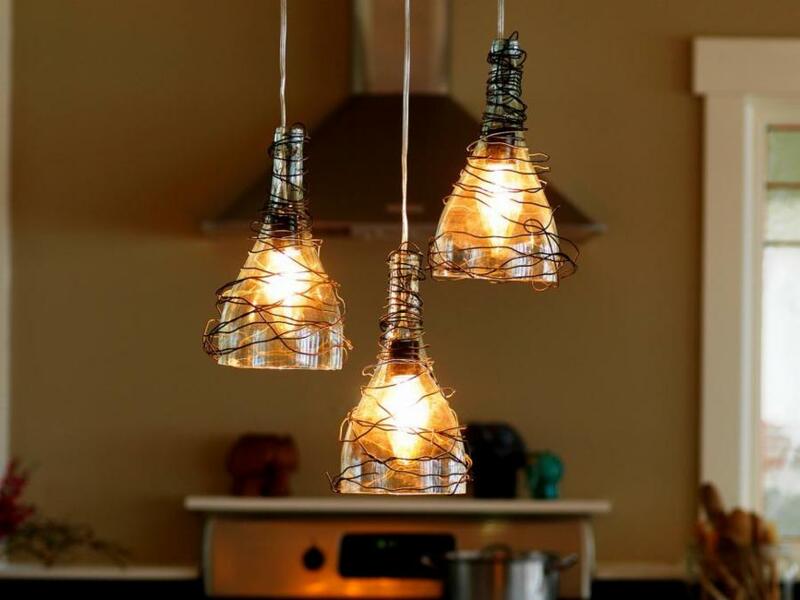 After cutting them, add some decorative wire and add them to your fixtures. If you have a pretty piece of fabric lying around that you just can’t seem to get rid of, then why not turn it into a decoration? Take the piece of fabric and adhere it onto the back of a cork board. Cut the cork board to match the fabric size, and for added effect, frame it.